Walkers in the Vall de Sant Josep above La Trapa, where the route isn't waymarked, but is already popular. Following the GR221 up through the Comellar des Prat towards the highest point on the route at the Coll des Prat. The aptly-named Ruta de Pedra en Sec, or Drystone Route, as it reaches its highest point on the rocky Coll des Prat. 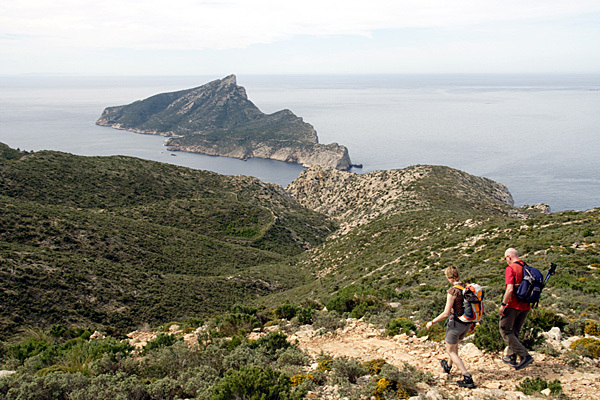 Bearing in mind that the GR221 is only partly waymarked across the rugged Serra de Tramuntana in Mallorca, it is already proving to be a very popular trail, so it deserves its own detailed guidebook. 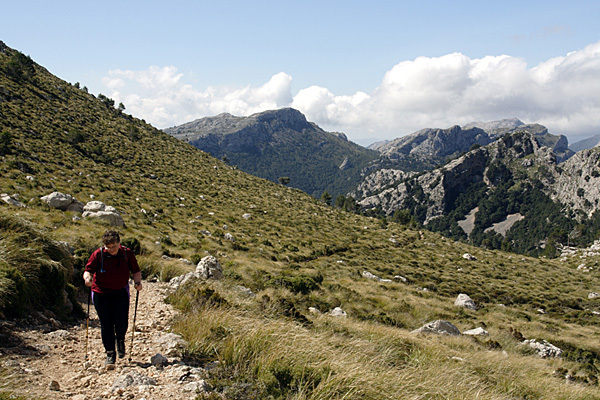 While updating the classic Cicerone guide - Walking in Mallorca - it became apparent that work on the waymarked GR221 was proceeding slowly, yet walkers were already trekking along parts of the route. The full course of the route, also known as the Ruta de Pedra en Sec, or Drystone Route, has been publicised for some years. More recently, a number of spur routes have also been suggested, and work has commenced on yet another route, the GR222. Much of the GR221 was walked, often in both directions, over the years, and the whole route was walked during the research for this guidebook. 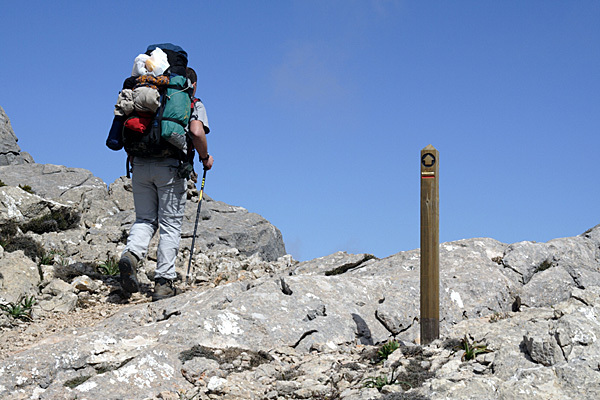 A number of spur routes were also checked, as well a stretch of the GR222 that has already been waymarked. With all the information they need to hand, walkers can trek the route in as little as a week, or extend their explorations by taking in some of the spur routes. A number of splendid refuges have been established along the GR221, and a couple more will open in due course, mostly in restored historic buildings. Anyone intending to use them must book in advance, and the guidebook gives details of the process. Alternatively, some may prefer to stay in hotels, pensions, or even monastic cells! It is quite likely that the GR221 will rapidly prove to be one of the most popular trails in the Mediterranean. The entire route and all its variants were walked again for the second edition of this guidebook, which now incorporates very detailed 1:25,000 scale mapping, courtesy of Editorial Alpina, who make the best maps of the island.